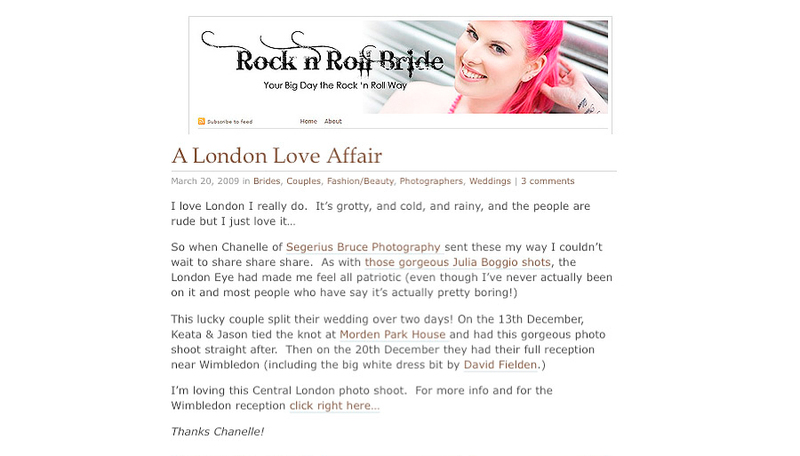 Kat from the super funky RocknRollBride wedding blog has featured our “London Love Affair” themed wedding that we shot for Keata & Jason back in December 2008. This is such an inspirational blog and I am totally addicted to checking it every morning. 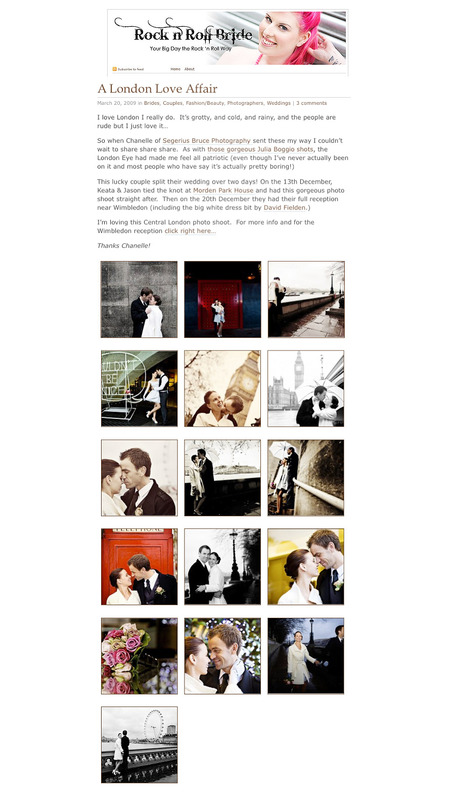 Beautiful wedding pictures. Wonderful. Sharp images… thanks for sharing.